A pellet or ingot of gold weighing 1.27g. 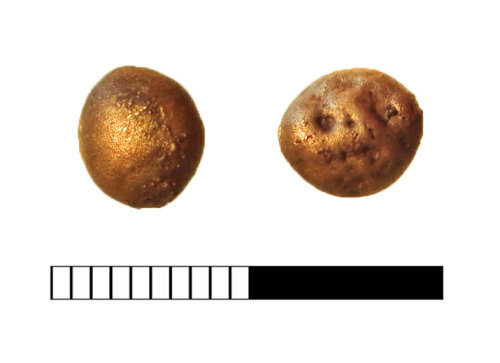 The rounded pellet itself is not diagnostic as to date and thus was not submitted as potential Treasure. A similar pellet, found nearby, was recorded as SUR-6020EC . An Iron Age date is possible in view of finds of coins of this date from the general area.